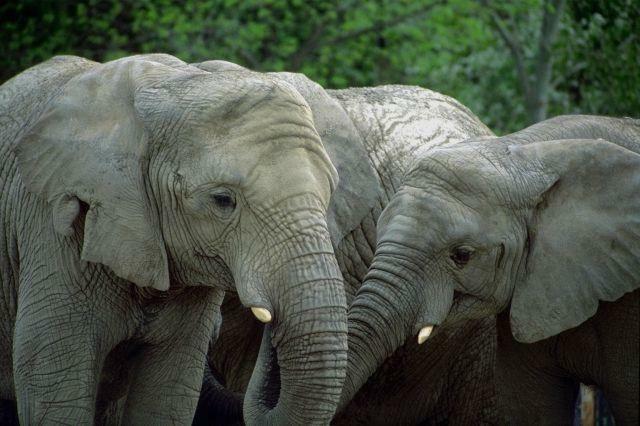 The African elephant is the largest land animal living on our Planet. The male African elephant can reach a length of over 7 metres and weigh over 6 tons. Particular signs of the African elephant are its ivory tusks that can be up to 3 metres long, and its trunk can grasp objects. Another characteristic of the African elephant are its enormous ears that are also used for cooling the elephant. In fact the animal disperses the excess heat by fanning itself with its enormous ears (which can be up to 2 sq. metres) and are greatly vascularised.